Every pre-school and early elementary school-aged child I have ever cared for loves puppets. 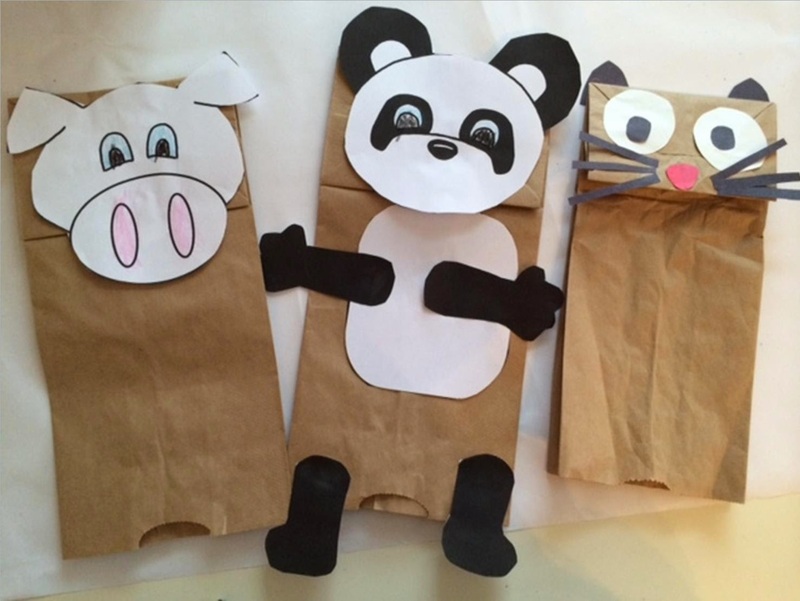 Making simple paper bag puppets allows kids to practice coloring, cutting, and pasting. 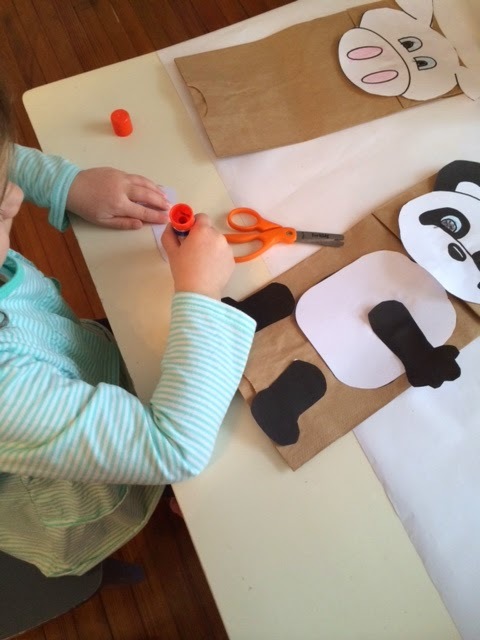 I like cutting out shapes from colored construction paper for young kids to make animals, princesses, and princes but it’s even easier to print out paper bag puppet templates online. It took me less than half an hour to print out templates and gather the supplies to make the puppets and less than 15-minutes for the four-year-old I care for to make the three puppets pictured above. 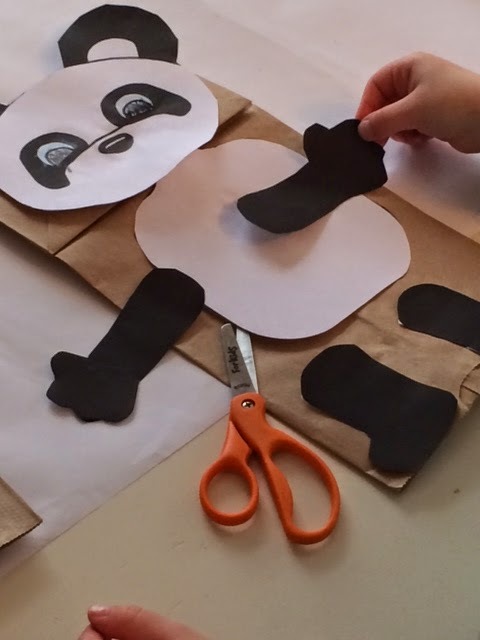 My favorite site for paper bag puppet templates is abcteach.com. 1. Cut out circles, squares, triangles, and rectangles from colored construction paper for kids to use or print out paper bag puppet templates. 2. Let the kids color the shapes or templates any way the want to. 3. If using templates from online help younger kids cut out the shapes while allowing older children to do it themselves. 4. Have the kids paste the shapes to the paper bags. The facial features go on the top of the flap, while put the inside of the mouth or bottom of chin under the paper bag flap. Also feel free to let older kids use yarn, pom poms, sequins, glitter, felt, or any other material to decorate the puppets if they want to. 5. Let the kids imaginations run wild while playing with their homemade puppets. « Read Mo Willems Books!